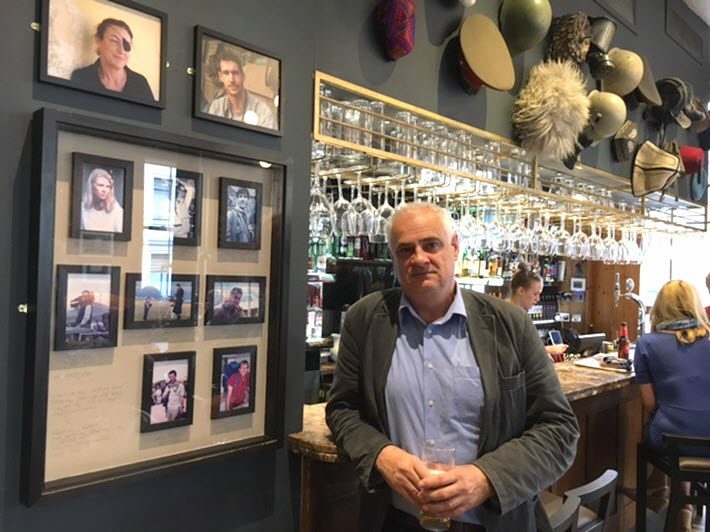 Established to let journalists publish books quickly on political issues, a new independent press from Byline Media features its first book at its annual festival opening Friday. Byline Media is an independent crowdfunded platform for journalism. Its writers have broken major news stories. An event called Byline Fest opens in its second annual iteration on Friday (August 24) to run through Monday at Pippingford Park south of London, one of the last hurrahs of the UK’s summertime festivals. Byline’s journalists at times have broken significant news stories, and the site offers readers a chance to contribute funds to support its stories. For example, an article by David Hencke headlined “A N0-Deal Brexit Could Leave Nearly 500,000 Expatraiate Brits With Frozen Pensions” offers chances to “support this column” and to donate to “milestone goals” for overall backing of the site. A “Supporters’ Cafe” offers chances to exchange notes and inquiries with a writer. Byline Books is the company’s new publishing offshoot, and it, too, uses crowdfunding for its projects. It’s designed to enable journalists to quickly publish books about current political issues. 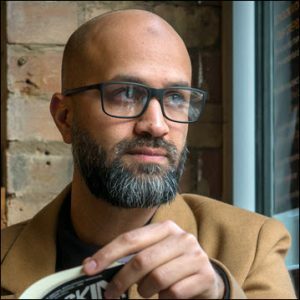 Byline Books raised £13,000 (US$16,745) to publish its first original book, A Virtue of Disobedience by Asim Qureshi, who is the research director of the UK’s controversial nonprofit human rights advocacy group Cage. The book—about responses to perceived injustice—was typeset, proofed, and printed within five weeks of the fundraising effort’s end date, April 25, and was ready for its presentation at the British Library three days later. Any profits are split evenly between Byline and Qureshi. A Virtue of Disobedience is Qureshi’s second book. 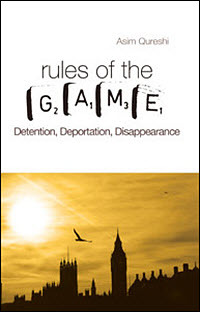 He has previously edited Rules of the Game: Detention, Deportation, Disappearance (C Hurst & Co, 2010). His high-profile role at Cage has sometimes put him on the receiving end of some of the UK’s newspaper’s opinion writing, including several pointed articles at the tabloid The Daily Mail. “Asim did warn us that people might not like his book,” Colegrave says with a laugh, “but at Byline we stand up for things. We don’t have a reputation to burn, because our funders expect us to do things like this. We’ve been sued by The Daily Mail, so we’re quite used to having a tough time. Byline itself has proved litigious at times. In June, it threatened a defamation lawsuit of Arron Banks, the largest donor to the Leave campaign in the UK’s Brexit politics. 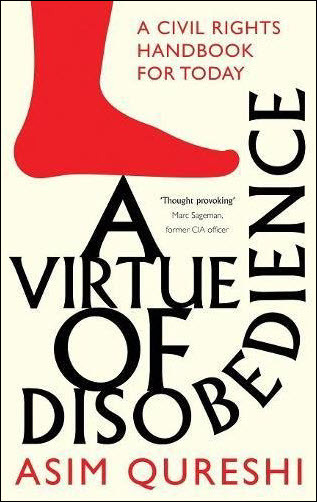 A Virtue of Disobedience is billed as a new work of political philosophy that combines traditional civil rights literature with that of Qureshi’s Islamic faith. In the book, he reflects on the injustices he perceives around him—from food banks to detention without trial and extrajudicial killings—and he interrogates the structures that have brought these into being. In writing the book, Qureshi says, he’s attempting to reconcile the Islamic faith—which teaches obedience to the state—with acts of resistance and disobedience. “What provoked the book,” Qureshi tells Publishing Perspectives, “was hearing a sermon by an imam about being obedient to the state. He was saying that as Muslims, we have a duty to obey the state even if it oppresses us and brutalizes us. I really didn’t want my children to hear his message. For Byline’s part, Colegrave says, the book fit a criterion of singularity. Asim Qureshi says he had his own reasons for choosing Byline to publish his book. “I wanted to have a partner who could understand the politics of the book and stand by it,” he says. “Byline [is a] partner who campaigns against racism. For them, it’s more about values than profit margins. The initial print run of the book was for 1,000 copies. Within two months of the book’s late-April release, more than 750 copies had been sold in crowd-funding fulfillments and at events. Byline, at this writing, was readying to a second print run for event sales and anticipated interest at Amazon. That second print run was to be a larger run because Byline Books was in talks with booksellers including Waterstones and Foyles. Byline Books has signed with international agent Jessica Craig to pitch for North American distribution, while Qureshi is supervising translations of the book into Turkish and Arabic. While some might think that Colegrave and Byline would want a book like A Virtue of Disobedience to generate media heat and controversy for sales, Qureshi says it’s important to him that this didn’t happen. “Having been at the storm end of negative public attention in the past,” he says, “I wouldn’t recommend it, even for the sake of selling books. With this book, we’ve just tried to be truthful about what it is and what we’re trying to do, rather than specifically trying to provoke a fight. At the Byline Festival this weekend, Qureshi will appear in a discussion with with Patrisse Cullors and Jacob Crawford. Cullors is a co-founder of Black Lives Matter, and Crawford is a co-founder of Copwatch, a network of citizen organizations in the United States and Canada that document complaints filed about police activity. Mark Piesing is a freelance journalist (and teacher) based in Oxford, UK now writing mainly about technology, culture and the intersection between the two for some of the biggest brands in the UK media such as The Economist, Wired.co.uk, and The Guardian. He also contributes to Warwick Business School's Core magazine. WBS is one of the top business schools in the UK.